Hospital visits. Assisting kids with eye exams. You Can Play Project. 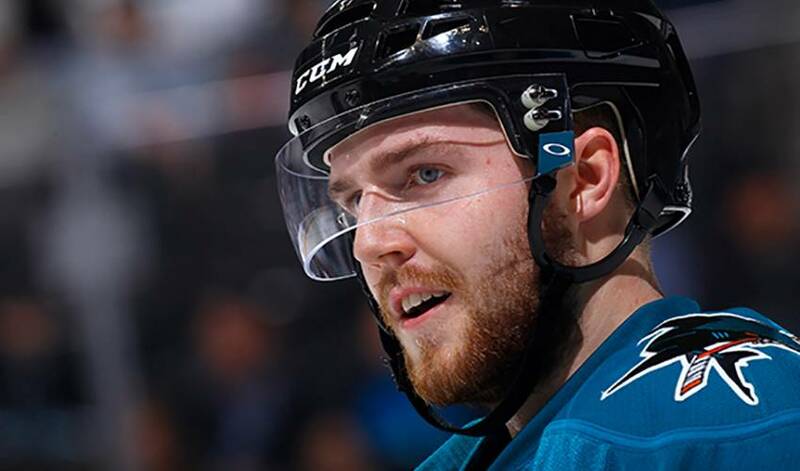 They are just three examples of the many initiatives the 22-year-old Tierney has lent his support to over his time with San Jose. His most recent assist, so to speak, comes in the form of team ambassador for Hockey Is For Everyone month. In partnership with the You Can Play Project, an organization whose mission is to ensure the safety and inclusion of all in sports, including LGBTQ athletes, coaches and fans, Hockey Is For Everyone – running from February 1 to 28 – is designed to celebrate diversity and inclusion in the game. “I always try to get involved with the Sharks Foundation or any charity work I can do through the team,” said Tierney. No matter what the undertaking – take a look around the Web for plenty of video proof – Tierney is completely comfortable around whomever he happens to meet. When he and teammate Joel Ward helped distribute nearly 50 pairs of eyeglasses to students through the Sharks Foundation, the official charitable arm of the club, the interaction between players and kids was as natural as it gets. Tierney’s connection with the community dates back to his days playing for the Ontario Hockey League’s London Knights. His teammates included current NHLers Max Domi (Arizona), Bo Horvat (Vancouver) and Josh Anderson (Columbus). It’s obvious Tierney hasn’t forgotten those moments and the impact hockey players can have on others. He was reminded of it once again through his work with the You Can Play Project.